Cape Town, also affectionately referred to as “Mother City”, is the oldest city within South Africa’s boundaries. Over the past decade, it has become a particularly popular place for international tourists, and attracts many thousands of visitors from Africa and further afield every week that passes by. 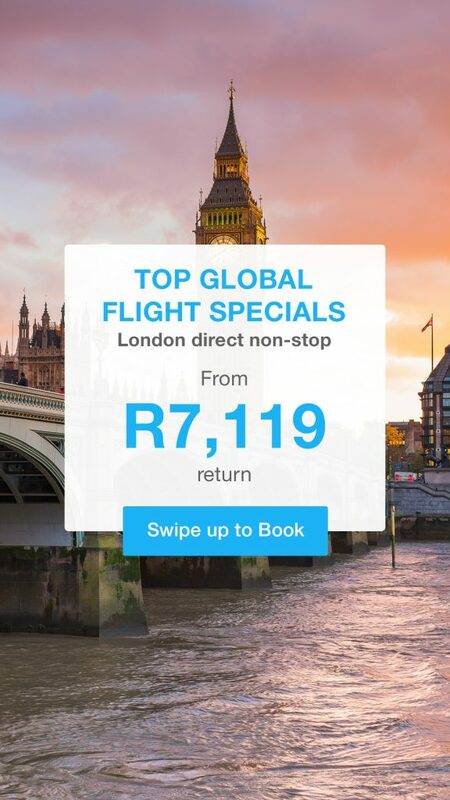 There are a range of flight options for travellers heading to Cape Town which are now offered by Kulula.com. That said, here we’ll provide a brief intro to the city and also offer details of a few of the Kulula flights to Cape Town that are available. Between Table Mountain (recently bestowed as one of the Wonders of the World) and the shores of the Atlantic Ocean, Cape Town makes for a particularly diverse and scenic city. From a hike in the mountains to a relaxing day at the beach, there’s plenty to keep even the most adventurous of tourists extremely busy. After the day’s excitement has concluded, there are a whole host of world-class dining as well as nightlife venues all around the city, providing the perfect way in which to unwind. Scanning more than 4 million Kulula Flights to Cape Town ensures that we give you the cheapest flights. Below are some of the most recent Kulula flights to Cape Town and return that we have given our customers. There are two points of departure that Kulula provide from Johannesburg to Cape Town either from O.R. Tambo International Airport or from Lanseria Airport towards the north-west of Johannesburg. A number of daily flights allow passengers the convenience of travelling to the city of Cape Town in the morning, during the afternoon, or in the evening. Those passengers who are departing from King Shaka International Airport at Durban and travelling to Cape Town by way of a Kulula flights to Cape Town can do so at any time of day or during the evening. Again, Kulula offer a number of flights every day which connect the two cities. Kulula’s flights are convenient for tourists who perhaps wish to get around South Africa and see plenty of sights, or for business travellers who are intent on enjoying comfortable yet affordable travel.